Take the award winning Quiet Man Movie Tour, a guided walking tour of The Quiet Man movie locations. The Quiet Man Movie Tours depart daily from The Quiet Man Museum. 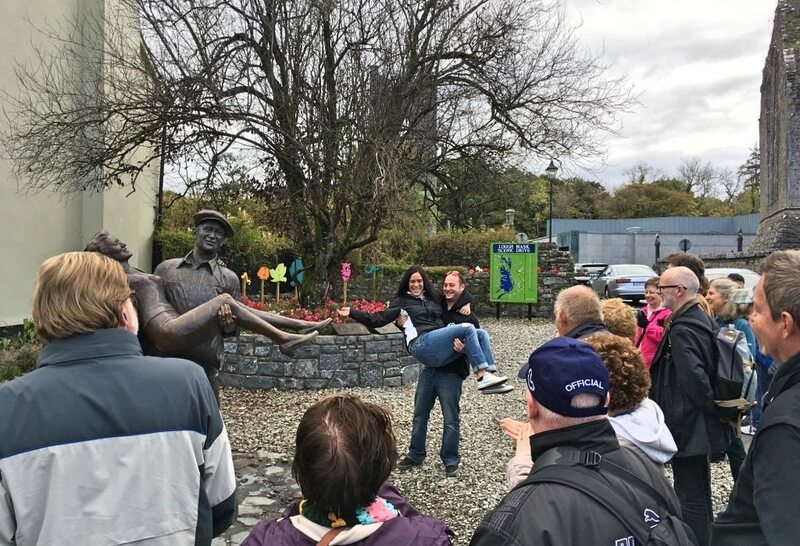 The tour features many of the locations in the movie including Innisfree, Castletown, the Pat Cohan Bar, the Reverend Playfair’s house, the dying man’s house, the fight scenes, the courting scenes, the commemorative statute and includes entry to The Quiet Man Museum.